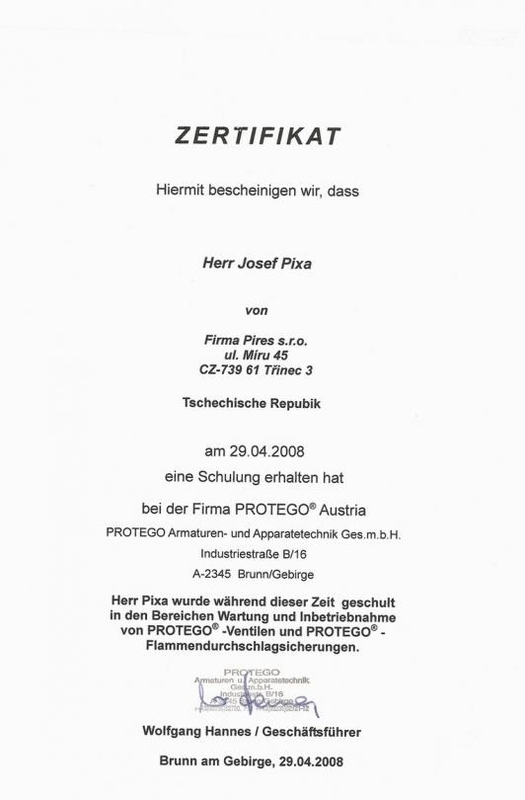 The founding and development of PIRES, Ltd. was preceded by the founding of the company Josef Pixa - PIRES by Mr. Josef Pixa on 1 September 1990. Only two employees formed the core of the Třinec company, Pires. In the beginning, the main activities of the company included the installations and repairs of industrial gas pipelines and appliances, including regulation stations. Other activities included the gas installation in family houses and the repairs of gas regulation, safety and shut-off fittings by domestic and foreign manufacturers. 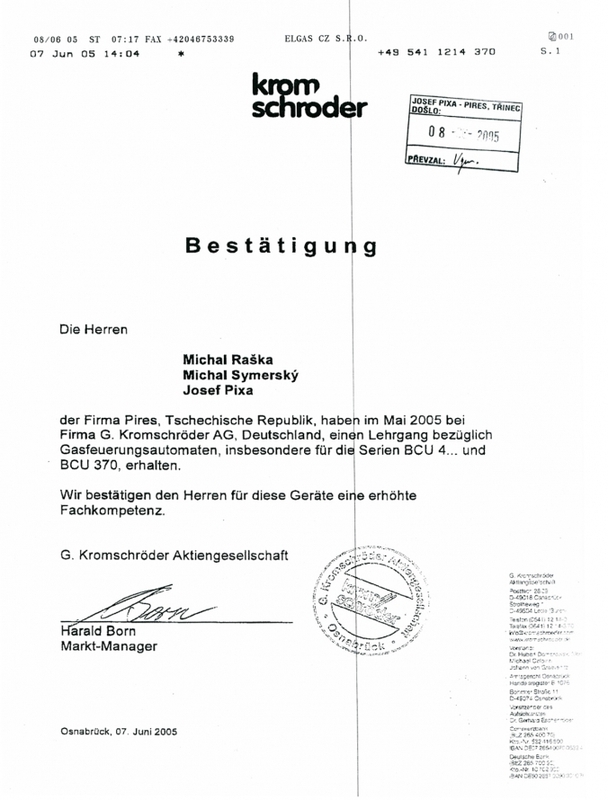 The company developed dynamically and in 1995 it began to specialise only in complex supplies in the field of regulation stations and heating gases and burner heating systems for industrial furnaces. 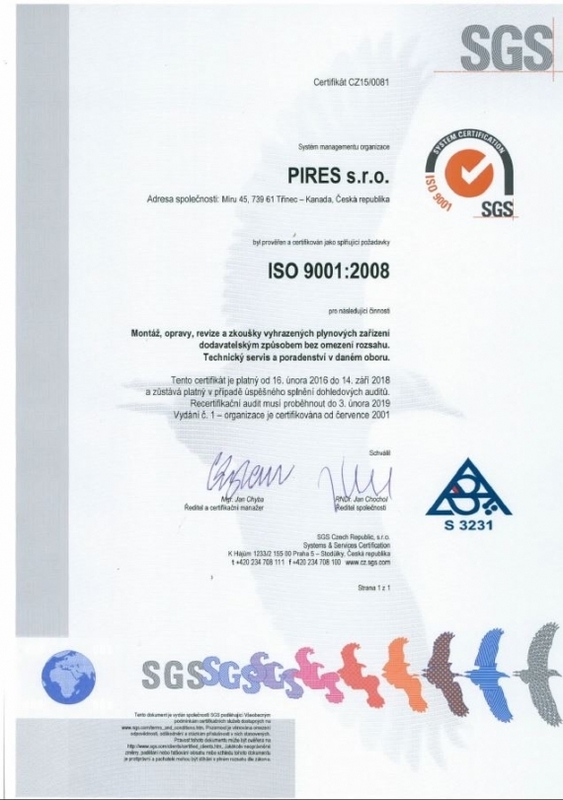 In the following years, the company placed emphasis on the specialisation and expertise of its employees and the work without faults with one hundred per cent satisfaction of the customer and in 2001 it obtained a certificate of quality based on the international standard ISO 9002. The quality management system was verified by SGS International Certification Services, Switzerland. The company has created the necessary background for businesses, such as offices, training, production, warehouse and social premises, garages and parking lots. It employs an average of 18 fully qualified specialists. 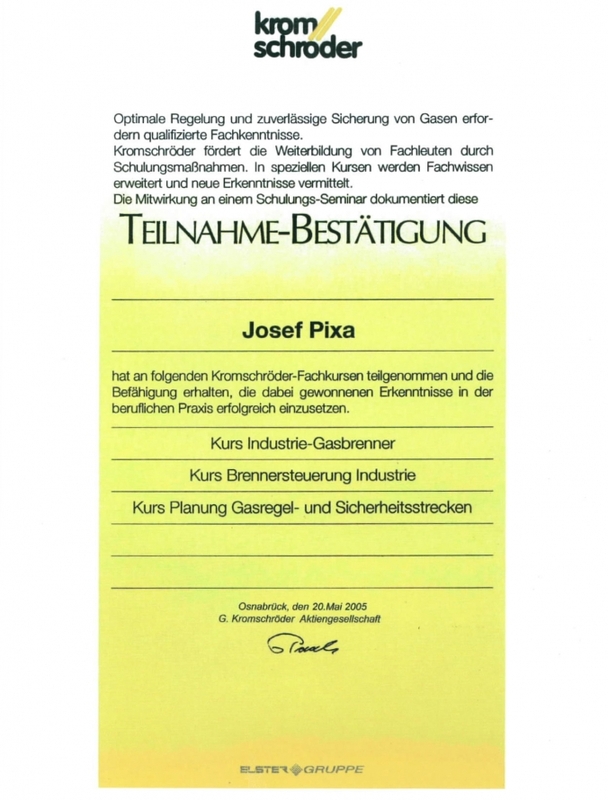 In 2008, the entrepreneur Josef Pixa became a legal entity, PIRES, s.r.o.After more than 28 years, PIRES s.r.o. has created a steady portfolio of clients.The company steadily provides regular service for more than 120 partners throughout the Czech Republic, Slovakia, Poland and Hungary. The goal of the company is the one hundred per cent quality of the provided services and the maximum customer satisfaction. It also possesses all the licenses and certificates necessary for its activity. 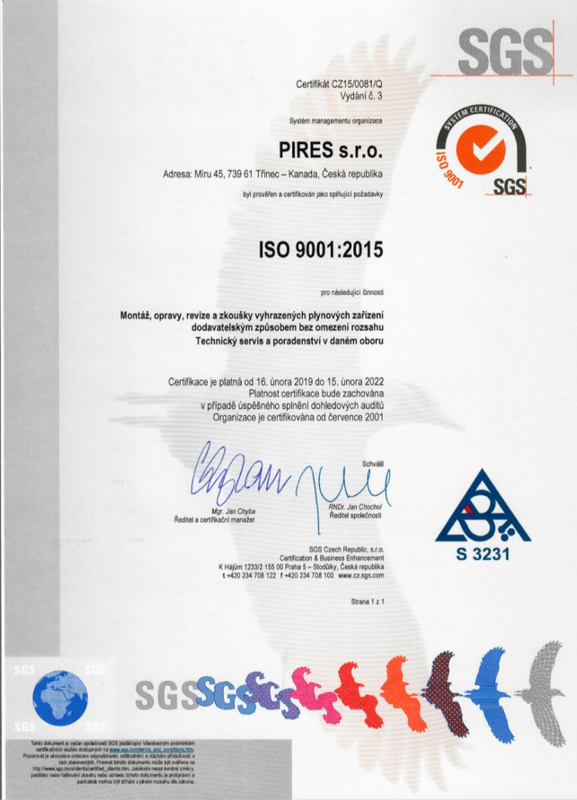 Pires also possesses the ISO 9001: 2015 Quality Certificate issued by the Swiss company SGS.